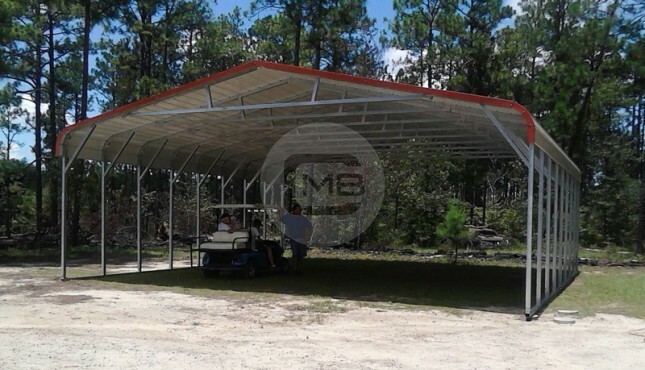 24×30’ Metal Garage with Lean-to featuring vertical roof style to give stress-free winters with easy snow cleaning. 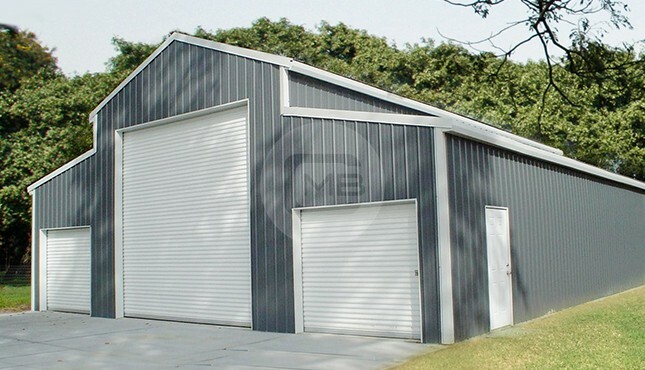 This metal garage’s actual dimensions are 24’ width x 31’ length x 10’ height (Frame is one foot shorter than actual length due to 6” overhang of the roof). 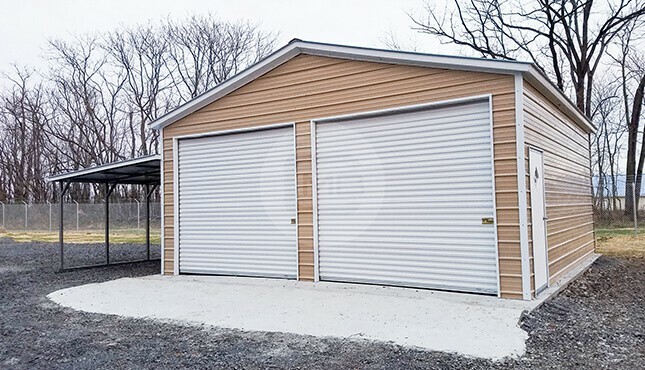 The front wall of this garage has two 10×9’ entries with roll-up doors, and one side has a 36×80” walk-in door.